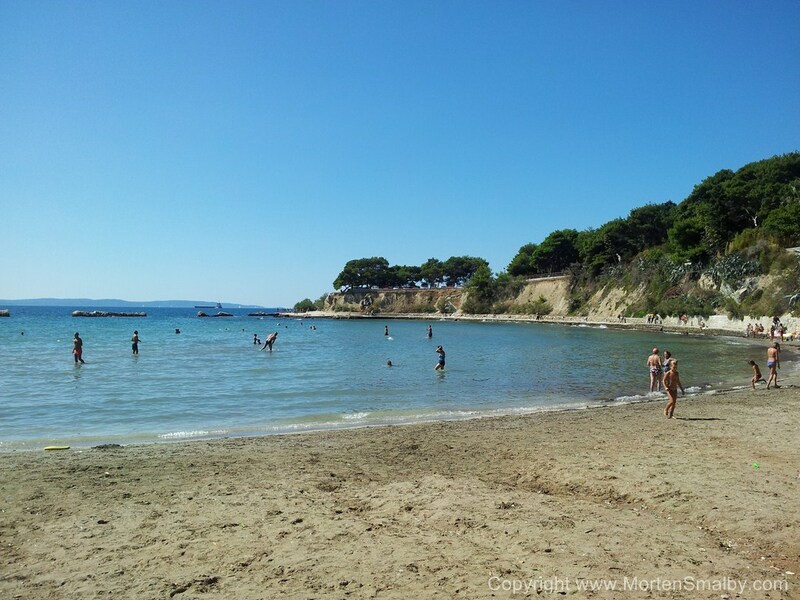 In Split, there are 4 things which the residents are very proud of – The Diocletian palace (monument of culture under the auspices of UNESCO), Nature park Marjan (hill on the west side of town, a green oasis for Split’s citizen’s), Hajduk (the football club), and Picigin – a sporting activity very little known in the world and one of the true uniqueness of this city. 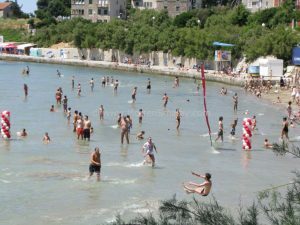 Rules of picigin are quite easy to describe, but the spirit of the game can only be experienced, so until you see or try the game your selves at the famous Split beach Bacvice, you will not know exactly what the game is about. In 1908, three years before football was introduced in the region, Split students returning from studies in Prague brought an “unusual” game called water-polo to Split beach Bacvice. 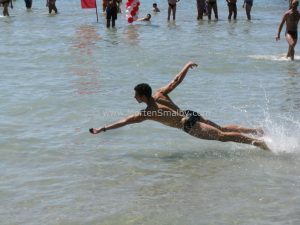 But as the sea level on the Bacvice beach is pretty low, it was not possible for them to play water-polo, as it was supposed to be played. 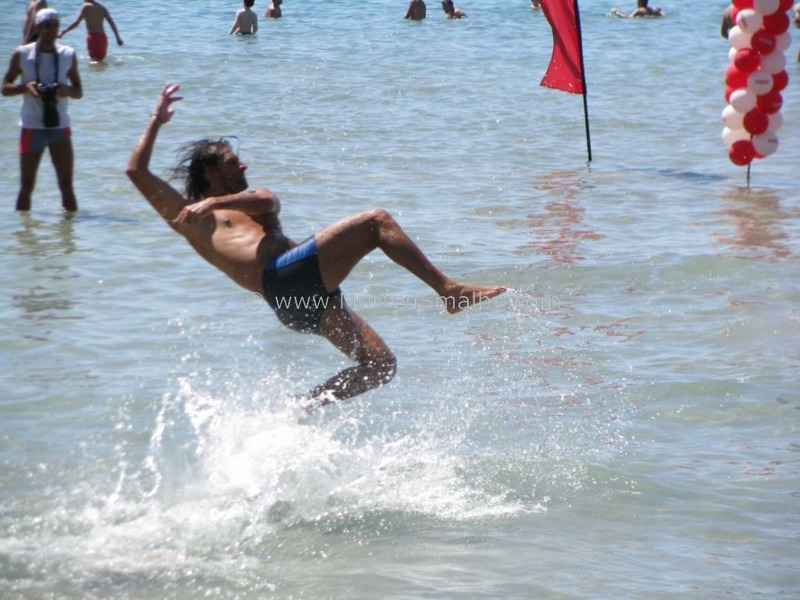 It is believed that the unsuccessful attempts of playing water-polo at the shallow waters on the Bacvice beach eventually evolved into the game we today know as Picigin. Since WWI picigin has been played at Bacvice with more or less unchanged rules. The name of the game, according to the very well known Split writer and passionate player of Picigin Anatolij Kudrjavcev, originates from the musical expression pizzicato, which means “twitch wires with fingers”. In any case, it is something tremulous, fast, and funny, with simple rules and certain goal. Old Split citizens said for verb pinch – picigavat. In short, picigin is a collective game that is played in low waters normally to the ankle (rarely up to the waist), and partially on the land. Number of players is not strictly defined (as well as gender and age) although the optimal effect is achieved with 5 participants. As a rule, the players pass the ball only with one stroke of the palm of one hand. The size of the ball is 5-10 cm in diameter, and weight is 50-150 g. With constant hitting they try to keep the ball in the air as long as they can, before it hits the sea or the land. Apart from simple passing and keeping ball in the air the true spirit of picigin reflects in the acrobatics that participants perform, and which is also one goal of the game. 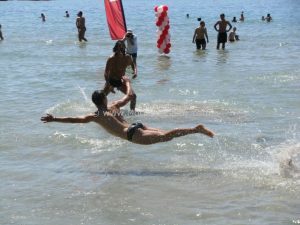 Acrobations consist of players throwing themselves on to the shallow sea trying to catch the “uncatchable ball”, or the one that is almost hit sea surface or land. In addition, one of the greatest particularities of picigin is that the players (piciginaši) do not play one against the other but together – the only non competitive sport for which I have heard. This non competitive aspect of game contributes to its attractive spirit, because in Picigin it is not important who wins but the goal is simple to have fun. But of course somebody came to the idea to also have a world championship in Picigin, so since year 2005, world championships in Picigin has been held in Split, to determine who is the world Championship a point system which awards, number of successful touches and the acrobatic skills determines which team will become the new world champions. An important tradition connected to the game is the New Years picigin, which is played on first of January by a few of the most fanatic picigin players. Some of them play picigin through whole year, even in the winter times. Only weather condition required is no strong wind (because of the low ball weight). The only important equipment needed for picigin, is the ball, although you can use any ball to play the game, the true picigin players use only the heart of a tennis ball. The process of making this specific ball (balun) consists in stripping the green layer of tennis ball, and abrading the rubber part until the ball becomes thin, so that it bounces better. In order to make a balanced ball, you will have to paint the ball, before abrading so that it can be abraded equally on each side. To ensure quality work, the “professionals” balance the ball after abrading, by putting it into steady water, if it turns, the bottom part needs a little more scrubbing. 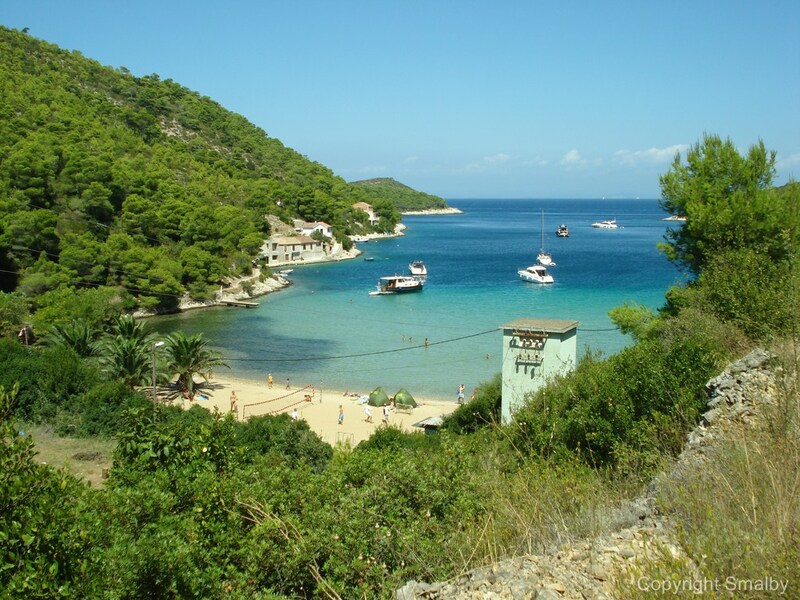 Except in Split active picigin groups exist also in Dubrovnik (beach Šunj on island Lopud), Medulinu (picigin association “Pešekan”), and on island Krk in the small town Baška, during summer you can see game played across he whole Croatian coast, but if you want to see the best picigin players in action, you will have to go to Split. Sounds like a fun sport and also abit like the Burmese sport Chinlone, expect with hands instead of feet. Do you know if they still hold the world championships, and if they is a website for them?